Today’s episode features guests who are members of the Georgia Society of CPAs. Joel L. Pascaner is a tax partner specializing in high net worth individuals, privately held entities, partnerships, S corporations, estates and trusts, not-for-profit organizations, and state and local tax matters. He also has extensive experience representing taxpayers before the IRS as well as numerous other taxing jurisdictions. Joel is a member of the American Institute of Certified Public Accountants, New York State Society of Certified Public Accountants, and The Leaderhship Team of the Tax Section of the Georgia Society of Certified Public Accountants. He has been an at-large member of the GSCPA Council. In addition, he has served as the Chairman of the Tax Section of the GSCPA as well as both the Federal Tax Legislation and the Georgia Tax Legislation Subcommittees of the GSCPA Tax Section, where he was involved in the drafting and introduction of proposed legislation. He is also a Past Chairman of the Depreciation Committee and the Tax Accounting Problems Committee of the NYSSCPA. Mr. Pascaner was a member of the GSCPA 2006 Tax Forum Planning Committee and served as Moderator at the Forum’s Luncheons with Georgia Tax Commissioner Bart Graham. He was awarded “2006 Distinguished Section Leader” by the GSCPA and served on their Task Force on Employment. Joel is a member of the Atlanta Tax Forum and the Atlanta Estate Planning Council. He is a graduate of the Philanthropic Advisor Leadership Institute and was awarded the “Best in Client Satisfaction Wealth Manager” by Atlanta Magazine for years 2009, 2010, and 2011. He has served on the Board of Directors of the Interfaith Disabilities Network and is currently on the Board of Trustees of Georgia Shakespeare. Prior to joining Stephen M. Berman & Associates, L.L.C., Joel practiced as a tax professional with Laventhol & Horwath and Peat Marwick. A principal with Windham Brannon’s tax division, Carlye specializes in complex multi-state service businesses, large not for profit organizations, and high net worth individual income tax planning and preparation. She performs and enjoys extensive projects on various accounting topics that require significant interpretation of tax law. Prior to joining Windham Brannon in 2002, Carlye gained valuable experience, including work with expatriates and international taxes while employed in the tax departments of the national firms of Arthur Andersen and Deloitte & Touche. She served as Vice Chair of the GSCPA Financial Literacy Committee in 2007 and 2008, and she assisted in the creationof Phi Sigma Pi Foundation, where she served as president, from 2005 to 2011. Carlye earned a BBA in Accounting from Eastern Michigan University and a Masters in Taxation from Georgia State University. Before co-founding Thrive Mobile, Joe served in various executive and business development positions with other local Atlanta mobile design and development companies. Joe had a different vision for what a mobile development company should and could be and subsequently shaped THRIVE into not just a typical mobile development company- but a full service mobile+web design, development and digital marketing firm. As CEO, Joe runs the day to day operations and seeks to expand and further the THRIVE brand. Joe is also an active angel investor in the Atlanta tech community, and organizes and sponsors an annual Toys For Tots charity event every December. THRIVE designs and develops amazing apps for the iPhone, iPad, Android and Blackberry platforms. Their expert programming team works with clients to design and build fast reliable apps that push the boundary of design, innovation and functionality. With Art Direction provided by THRIVE Chief Creative Officer Eric Johnston their apps are designed to look gorgeous and stand out in the crowd. They work closely with clients to develop ideas and nurture them into world class Apps. THRIVE also develops amazing websites utilizing the latest programming standards and techniques. THRIVE merges design + function to produce apps and websites of the highest quality. Gabriela Eisenhart is a career advisor at The Art Institute of Atlanta, specializing in film and video, web design, and visual effects. Gabriela is also a graduate of The Art Institute, having earned her BFA in digital media production in 2006 when she was recognized as having the best portfolio in her graduating class. One of her films also won two TELLY awards. She is familiar with obtaining jobs in a creative field, having worked for Everwell TV and uVu Mobile after graduation, as well as freelancing in film and TV production since her first year in college. With 15 years in the special events industry Kelly Treadway has seen her career curiously come full circle. Her experience in sales and marketing thrust her career into the areas of events entertainment, venue management, catering sales and equipment rentals. In early 2013, after a year of ghost writing, concept building and strengthening connections, Kelly took the leap and launched EventCurious – a micro agency specializing in online marketing and public relations for special events and hospitality companies. Her passion for events and event professionals has encouraged a longtime involvement in the industry association ISES (International Special Events Society). Now in her 4th year on the Board Kelly is currently VP Elect for the Greater Atlanta chapter and next in line to hold the position of Presidency in the 2013-2014 member year. ISES is known for promoting the concept of “connections” which Kelly fully embraces. You can find Kelly online via Facebook, Twitter, LinkedIn and Pinterest.~ happy connecting! Mitch Schlimer’s entrepreneurial career began at the age of five, selling NYC-style pretzels from a street cart with his grandfather in Queens. After learning many invaluable “on-the-street” lessons at a very young age, Mitch spent the next three decades identifying voids and needs in the consumer marketplace, thus making him one of the nation’s leading serial innovators and entrepreneurs. Mitch is the Founder and Executive Director—Entrepreneurship Hall of Fame & Museum, Founder—Let’s Talk Business Network, Co-Founder and Board Member—Magic Wand Foundation, and Board Member—Excent. Tammy Cohen is the president and chair of InfoMart, one of the nation’s premier applicant screening companies. Founded by Tammy nearly 25 years ago, InfoMart provides criminal history information, credit and driving records, drug screening, and verification interviews of past employers and educational institutions for companies nationwide. As a recognized expert in business and the employment screening industry, Tammy is often referred to as “The Queen of Screen,” and her company is recognized on Security Magazine’s Security 500 and Workforce Magazine’s Hot List of Employment Screening Providers. Tammy considers employees to be a business’ best resource, and actively promotes programs within her company that encourage maintaining a work-life balance and fostering a healthy workplace. As a result, InfoMart has continued to increase revenues despite a struggling economy where employee hiring has been at the lowest point in years, and in November 2012, InfoMart was named a “Best Place to Work in Georgia” by Georgia Trend magazine. Larry Samuelson is the founder and president of The Samuelson Company, a business that provides Trusted Advisor and Leadership Development services. Larry also speaks on business and leadership topics for a variety of businesses, conferences and various MBA program events. Larry is an accomplished executive who, in various roles and divisions as a President, COO and CEO, led one of the largest companies in the automotive aftermarket parts industry, and provided the strategy to restore growth and profitability to hundreds of business owners in that firm’s network of businesses. Larry currently devotes his time and passion to help executives and business owners grow their business to the next level … to recapture the excitement of why they started their business in the first place … and to help them monetize their business when appropriate. Larry also speaks at universities and business conferences to share his insight on developing effective business strategy and leadership. His vast experience running small and large companies and developing executive management teams — with the right combination of leadership skill and business savvy — provides a compelling array of lessons learned, and anecdotal and best-practices ideas for the leaders, practitioners, and scholars of business today. Larry also serves as an Executive in Residence for Emory University’s Executive MBA program here in Atlanta. Mr. Higgins leads the Product Management, Business Development and Data Center Services Design and Site Selection functions for Internap’s Data Center Services business. He brings to Internap a deep knowledge and 20+ years of extensive financial, product planning and leadership experience in the telecommunications industry. Mike Higgins came to Internap in January 2004 as Internap’s Vice President of Financial Planning and Analysis. At Internap, he has also served as a board member for the Company’s joint venture with NTT of Japan. 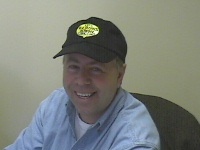 In late 2006, Mr. Higgins assumed the responsibility for growing and expanding Internap’s Colocation product offering. Prior to Internap, Mr. Higgins held numerous leadership roles in Finance, Business Operations and Business Development over an 18-year career span while at MCI. His most recent role at MCI was Vice President of Business Operations. In this role he directed the Sales planning efforts for each of the business market segments. This included product planning, customer acquisition efforts, product line profitability and product integration efforts. Mr. Higgins holds an M.B.A. in Finance from the University of Bridgeport and a B.S. in Accounting from Villanova University. Gabe Aldridge is an interactive visionary, futurist, entertainer, and co-founder of The SuperGroup. Known for its vast business knowledge as well as its flexibility in the role it plays within campaigns, The SuperGroup can be the catalyst in developing and executing innovative programs or the all- important gap-filling boost a brand or agency needs to turn a solid campaign into an exceptional one. Gabe’s career began in 1994 in the enhanced CD and high-end multi-media software spaces. A video and technology aficionado, Gabe designed projects for musicians and bands such as Chris Cornell, Sonic Youth, No Doubt, Blues Traveler and Weezer. While his work early on in his career forced Gabe to be behind the camera, in a studio, or at a computer, his responsibilities with The SuperGroup are much less isolating. Considered “the face” of The SuperGroup, Gabe not only oversees the agency’s design department, but also spearheads the company’s business development initiatives. Drawing on his diverse interests, design capabilities, business sense, and knowledge of the web, Gabe is responsible for making sure potential clients become long-standing SuperGroup friends. Gabe and The SuperGroup have been featured in The Wall Street Journal, The New York Times, Entrepreneur, the Atlanta Journal & Constitution, MSNBC.com, The Modesto Bee, The Atlantan, Communication Arts, Adweek, Promo Magazine, and HOW Magazine. With a passion for celebrating people and their special occasions, Gayle Rubenstein, co-owner of Balloons and Events Over Atlanta, is commited to producing the most noteworthy and memorable events. Gayle’s background is in design and she loves to create what her clients want. Her intention is to always listen to what her clients are saying and reproduce their vision. Balloons and Events Over Atlanta creates works of art that they are proud to have their signature on. Their ideas are fresh and new. Their certified balloon artists and Certified Event planners have gone througth training on color and design and can transform a room. Gayle’s goal is to continue to satisfy and awe her customers while saving them time and money. She understands that many events only come once in a lifetime and have an immeasurable impact and importance. Balloon décor is a spectacular way to bring in dynamic color and dazzle guests, and together with props, linens, floral design, unique and specialized centerpieces, theme decor, all set the stage for a memorable extravaganza. There’s an endless amount of design possibilities that can be created to make the memories of an event last a lifetime! Penne Crews is an Assistant Vice President with a national insurance brokerage firm called Lane McVicker located in Alpharetta, Georgia. She began her career in 1980 with State Farm Insurance. In 1989 Penne joined Alexander & Alexander to manage their personal lines VIP accounts. In 1994 Alexander & Alexander was purchased by PLI Brokerage where she remained for 11 years offering sales, service and insurance advice to high net worth individuals developing a strong expertise in complex matters such as family offices, multi-generational families, coverage for professional athletes and sports memorabilia collections. For 3 years Penne sat on the Mickey Mantle Charitable Foundation. Today, she continues to expand her insurance knowledge with Lane McVicker; one of the nation’s leading Personal Insurance Brokerage firms who specializes in working with the affluent individual who may have complex insurance needs. Michelle Thomas is in the brokerage division of Ackerman & Co., a commercial real estate firm in Atlanta, Georgia. She specializes in tenant representation and is known for successfully matching her client’s vision with locations that amplify their visibility, enhance their corporate image and increase their efficiency. A native of Washington D.C., she began her real estate career in Georgia in 1997. With the completion of her Bachelor of Fine Arts in Interior Design and her Master of Science degree in Building Construction, she has since expanded her expertise to include the acquisition, disposition and leasing of commercial real estate properties. Michelle’s unrivaled determination to protect her client’s interests makes her an asset, critical in successfully negotiating office and retail leasing transactions. On Wednesday, March 6, 2013, BusinessRadioX® welcomes to the studio the latest addition to its radio family, Booth 61 with Ricky Steele. Ricky Steele is one of the Atlanta business community’s most recognizable personalities. Between his huge personality, frequent speaking engagements, and near-omniprescence at events around town, Steele’s leadership and networking style have earned him the nickname “Mr. Everywhere.” His book, The Heart of Networking, outlines the “servant leader” style of relationship building that he has developed over the last 35 years. Steele currently serves as Chief Development Officer for Hunter Technical Resources, Atlanta’s premier technology staffing firm. Booth 61 with Ricky Steele is focused on sharing information about the people and businesses in Atlanta’s quickly growing technology focused industries. With guests ranging from corporate CEOs to small business owners and startup builders, Booth 61 provides insights and discussion on a wide range of topics related to technology. Guests include well known business leaders from around Atlanta, high stakes investors from some of Atlanta’s leading capital firms, and entrepreneurs and startups with a story to share. Each show brings new people to the table, to share their insights on technology, business, and community issues. Join us for this inaugural episode at 2:00pm Eastern on Wednesday, March 6, at Booth 61 with Ricky Steele.